Goleta, California's Lagwagon first burst on the scene way back in 1988 playing a unique brand of speedy, highly technical pop-punk that made them one of the most influential punk bands of the 90's. The first band ever signed to Fat Wreck Chords and the definitive act on the label, Lagwagon were pioneers in creating the now-famous 'Fat Wreck sound' with their speedy drums, guitar virtuosity and undeniable melodies. They've influenced hundreds of thousands of kids, been around the world more times than Ferdinand Magellan and twisted and redefined themselves over the course of a career that spans almost twenty-five years. Now, Fat Wreck Chords has decided to take Lagwagon's five classic full lengths from the 90's, (92's Duh, 94's Trashed, 95's Hoss, 97's Double Plaidinum and 98's Let's Talk About Feelings) and give them the truly classy update they deserve. Get stoked because on November 22, Lagwagon is releasing five of the coolest gifts a band has ever given their fans. These 5 reissues are destined to redefine what constitutes a truly awesome redux. Here's how it came to be: When the time came for Fat Mike to honor the legacy of one of the most long running and influential bands on his label, Lagwagon frontman Joey Cape straight up rejected the idea of a greatest hits collection based on the very simple premise that there's so much more to a band's legacy than their hits. All a greatest hits collection does is make it the only place future generations will ever go to find out about a band. Joey and the boys instead decided to go the opposite route and really expose the evolution of Lagwagon by sprucing up and expanding their classic records, digging through their basements and old friends' closets, and compiling all the unreleased songs, b-sides and demos and packaging them with each corresponding album. Over the course of the five records, we're talking about 34 previously unreleased tracks, and these aren't just crappy boombox demos, either. 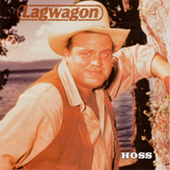 Many of these bonus tracks are among Lagwagon's finest songs, awesome tunes from those original recording sessions that have been lost until now. We're talking songs that aren't only for diehard Lagwagon fans, but unearthed hits for anyone who likes good punk rock. 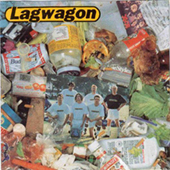 However, not ones to shy away from everything that made Lagwagon the force to be reckoned with that they are today, the boys also included some of the more interesting/weird demos. According to Joey, ''Some of it's pretty embarrassingâ€¦we wanted to reveal the band's evolution, our history. We chose to be completely transparent about it. We went for quantity. We decided we weren't gonna trim any fat and just put everything a fan would want to hear on there.'' The results are perhaps the most definitive collection of work from any band ever, a remastered and cohesive step-by-step look at the visionary band's evolution. However, the guys in Lagwagon didn't stop at the remastering and the inclusion of over thirty unreleased songs, many of which were remixed to meet today's sound standard. In the three years it took to unearth the 'lost tapes' that contain all those rarities, the Lagwagon guys were also able to find all the old photos from the original packaging of those first five albums as well as never before used photos and use high resolution scanners and good cardstock to make beautiful gatefold sleeves for all the high quality vinyl and CD re-releases. The vinyl, as well as the CD's will still feature the classic packaging, just updated. 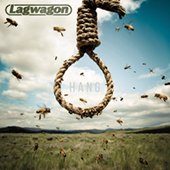 As if that wasn't enough, Lagwagon decided to up the ante further. Even though all the albums are available individually on CD, LP and digital download, and all the previously unreleased material will be available from iTunes, if you want it all, you can get the limited edition vinyl or CD boxed set, entitled Putting Music In Its Place, which includes a high quality poster, a DVD and even an exclusive re-press of the the first ever, long out of print Lagwagon 7''! Speaking of starting engines, Lagwagon is gonna be touring again on these reissues, getting 'back on the wagon' so to speak (heyo!) and kicking things off with a special show in San Francisco on December 17th at Slim's. 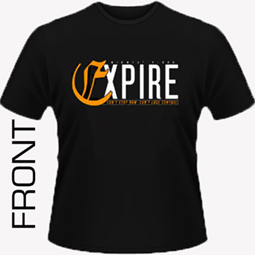 The celebratory show will feature past members of the band returning for a ''one night only'' performance. 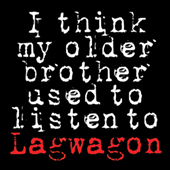 Lagwagon will be touring the rest of the world beginning early 2012, so don't miss 'em when they hit your town. With 141 songs (!) being polished up and set loose on the world, expect some real dusties alongside all your favorites. Come for the classics or come for the stuff from 2008's awesome I Think My Older Brother Used To Listen To Lagwagon, or just come out to see five dudes who pioneered a sound do it the way it's meant to be done, for the love of the music and the fans. Now, who's got a smoke for the Caper?